It is a rule-of-thumb that manufacturers should vertically integrate only when products and markets mature, so they can confidently shave off the last pennies of cost. One exception is when shortages loom: Tesla built its battery gigafactory fast using proven Panasonic technology. However, many suppliers now build battery gigafactories. The boom in electric vehicles land, water and air has put the battery and traction motor businesses back to rapid change so Tesla now sources many batteries, its Panasonic bond is weakening as Panasonic signs a joint venture with Toyota. Tesla is negotiating with Lishen for batteries. Nissan tried to sell its AESC battery shares. On the other hand, IDTechEx finds that Tesla's superlative motor designs are a reason competitors fail to get near its volume in those vehicle categories. They mostly source their motors from Nidec, Danfoss, Dana, Federal Mogul and Borg Warner etc. all doing acquisitions to modernise. In 2019, Bosch bought out Daimler's stake in EM-Motive GmbH, a motor joint venture supplying Daimler, Porsche, Fiat, Volvo, Peugeot, Streetscooter. Like Tesla and Toyota, Daimler will make its own advanced traction motors. However, electric vehicles land, water and air need a variety of superlative motor technologies from high power-to-weight to lowest cost including controller, start-drive-generator versions, e-axles and e-hubs. Most giant auto manufacturers must buy in much of this. Peak car means they have to cope with rapid diversification into the newly high-volume businesses such as agricultural robot EVs, high margin businesses such as e-aircraft, e-exoskeletons and $4 million deep mining robot EVs. A bewildering variety of motors and batteries serve these: adaptation to change is key. Winners will include businesses with desirable new motor and energy storage technologies snapped up by both automakers and their Tier One suppliers. Only IDTechEx has a full set of reports on these trends. Examples are, Electric Motors for Electric Vehicles: Land, Water, Air 2019-2029, Solid-State and Polymer Batteries 2019-2029, Supercapacitor Materials and Technology Roadmap 2019-2039, Smart Materials as Structural Electronics and Electrics 2019-2029, Electric Vehicles in Construction, Agriculture and Mining 2019-2029 and Battery Elimination in Electronics and Electrical Engineering 2018-2028. 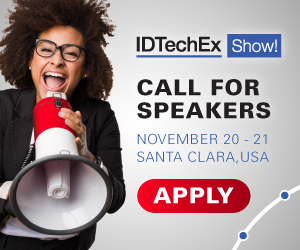 Contact research@IDTechEx.com to find out more. Electric Vehicles: Everything is Changing Europe 2019 in Berlin on 10-11 April is the only conference in the world that looks at the total reinvention of electric vehicles and how the components opportunity is far bigger than it seems; new electric bus and aircraft technology; how the energy independence market (on-board solar, wind, tire, suspension electricity etc) will dwarf commoditised autonomy electronics. Appraise magnetic cement for dynamic charging, GaAs solar, GaN power, new supercapacitors and batteries, merged power electronics. Learn how open sourcing and different car design means micro car factories compete head-on with giants. Find out more and register with the latest attendee discount at www.ElectricVehiclesEurope.tech .